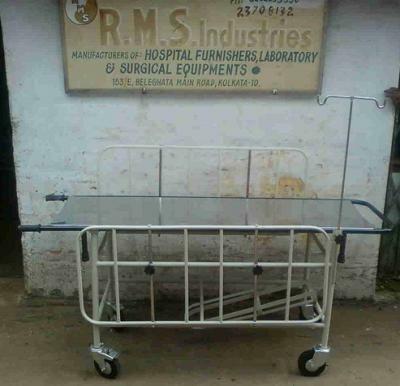 Removable S.S top stretcher top on CR, ERW square tubular steel trolley Mobile on 125mm dia swivel castors. two withbrake. Provided withcylinder cage, I.V Road and safety rails. Supplied with.Mattress pretreated epoxy coated finish.